Rahul Kukar from iDental dental practice has embarked upon the IAS Advanced training course, following four years of experience in anterior alignment orthodontics. “The course has been very good, providing a sound academic foundation from which to extend my skills. The quality of instruction and on-going support provided by IAS Academy has been great as well. “While the course finishes in a few months, I already feel much more confident in approaching more complex cases and knowing how to recognise cases that still require referral to a specialist. If you have extensive experience in fixed GDP orthodontics and wish to develop your skills further, apply for your place today. 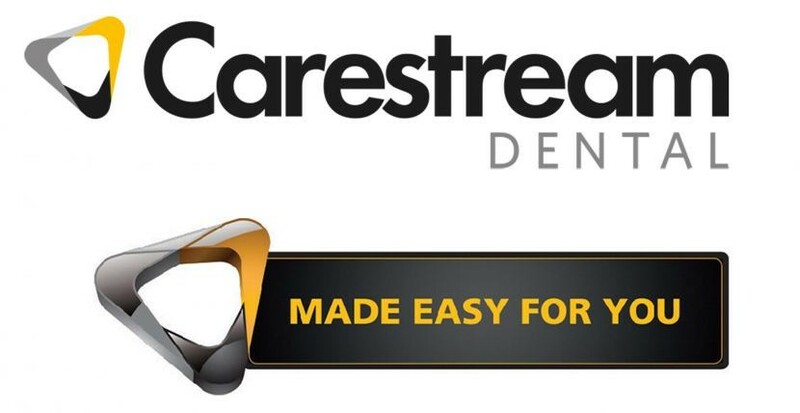 Carestream Dental is delighted to host the first of its training days for customers at its showroom in Stevenage. To find out more about any of these training opportunities, please contact the friendly team at Carestream Dental. Dr. Nick Harrison, from Ponthir Dental Practice of the Restore Dental Group, has been providing the Inman Aligner to patients for the last couple of years. 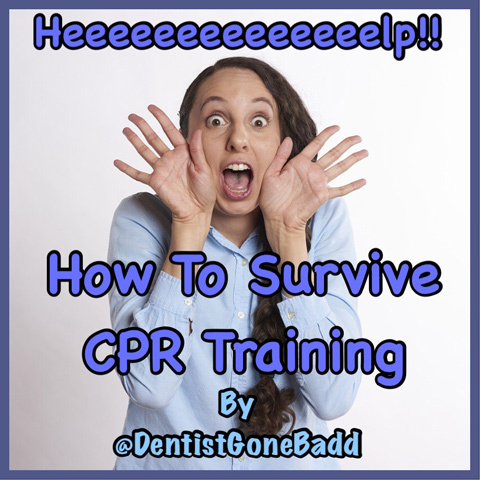 “I had seen the appliance marketed in the professional media and decided to take the hands-on course in order to offer a new option to patients and compliment my professional development. “The course itself was excellent – very inspirational. The instructors, Tif Qureshi, James Russell and Tim Bradstock-Smith were all very knowledgeable and passionate about what they were doing. They were also really personable, so despite there being many people in attendance, they made an effort to speak to everyone on the course. “I was keen to take the Inman Aligner training course after attending an inspirational lecture by Dr. Tif Qureshi on ‘Align, Bleach and Bond’ at the FGDP,” says Dr. Rima Patel, who works at dental practices in Crystal Palace and Carshalton. “Associates in both practices I work in had previously attended and begun offering the appliance to their patients – so there were always enquiries about it. I wanted to develop my skills, in order to also be able to offer patients what they wanted, rather than having to refer them to a colleague. “I had expected there to be more people attending the course on the day – and the lecture to be more crowded. I was pleasantly surprised, however, that it was a small group, and that the lectures were of the highest quality. Everything was explained thoroughly and the hands-on element complemented the presentations. To discover what you could learn, contact the friendly IAS Academy team today. Dr. Rima Patel, who works at dental practices in both Crystal Palace and Carshalton, recently took part in the Inman Aligner training course, provided by the IAS Academy. “I attended the Inman Aligner training course in December 2014,” says Dr. Patel. “I initially booked a place following an inspirational lecture given by Dr. Tif Qureshi on ‘Align, Bleach and Bond’, held at the FGDP. He was also offering a small discount to attendees of that lecture, so it presented a great opportunity. “Several of my colleagues had already been using the Inman Aligner – so patients were always enquiring about it. As a result, I wanted to be able to offer my own patients what they wanted, rather than having to refer them to a colleague. “I had thought that the course would be crowded, that a lot of people would be attending the lecture – but I was pleasantly surprised to find that it was a small group. The lecture was of the highest quality and everything was explained thoroughly; the hands-on element complemented the presentations very well. “It was also great that there was a small trade fair running over lunch, which gave us the opportunity to meet and talk to different people from different companies. The IAS Academy provides a number of training opportunities, including the Inman Aligner course, that are designed to give GDPs the confidence and expertise to offer their patients more in the way of alternative anterior alignment orthodontics. A truly unique and dedicated learning pathway, the IAS Academy focuses on education as much as it does on effective appliances, ensuring excellent levels of competence and success. Dr. James Tinning of Pinfold Dental Practice, Cheshire took the London Inman Aligner hands-on training course. “Following a seminar I attended presented by Tif Qureshi, I quickly realised that being able to offer patients the Inman Aligner system would be a great skill to add to my armamentarium. “The course was excellent and very impressive – not only an informative and interesting day, but also a really enjoyable one as well. Instructors Tif Qureshi and James Russell were very professional and they were happy to spend time discussing potential cases. “The appliance itself is very simple to use in practice and I have been able to use both the online support forum and help from NimroDENTAL laboratory to develop my knowledge of the Inman Aligner and treating more complex cases. Committed to providing the highest quality of training and support, IAS Academy runs courses for the Inman Aligner, ClearSmile Aligners and ClearSmile Braces. To find out more, contact the team today. Dr Darshak Amin from Dentistree @ Horley has been referring implant patients to Ten Dental for approximately seven years: “The team at Ten Dental are always prompt, professional and provide correspondence every step of the way. “Patients continue to be impressed with the service they receive at Ten Dental and feel reassured that their own dentist is involved in the treatment. Contact the knowledgeable team today to find out more about the comprehensive and personable implant referral service Ten Dental can offer your patients. “They are absolutely fantastic. Nik is approachable, extremely professional and great with the patients. His help and advice on placing implants and restoration has been invaluable. “Nik comes directly to the practice and has an innate ability to know how much to push me so that I continue to improve, and he always has time for my questions. I would feel comfortable and confident referring any of my patients to Ten Dental, as they always put the patient first and their communication is excellent. In June, Bridge2Aid sent two teams of UK dental volunteers to deliver emergency dental training in two new parts of rural Tanzania. June also saw Bridge2Aid complete their 71st training programme, meaning that they have now trained 369 rural health workers in emergency dental care. This sustainable model means that once the UK volunteers have left the country the health workers are able to continue treating their local communities for years to come. The first area where training was delivered was Morogoro which is one of the poorest and most densely populated parts of Tanzania. Most of the inhabitants are subsistence farmers who rely heavily on the surrounding forests for timber, medicinal plants and fuel. The other location was Pangani in the north-east of the country, bordered by Kenya and the Indian Ocean. There is a desperate need to tackle oral disease, infection and chronic pain in communities throughout the developing world – to enable people to work, attend school and care for their families. Bridge2Aid works hard to deliver the necessary skills in these communities so that local people are able to function free from pain, and avoid the risk of preventable infections and diseases. Offer patients a comprehensive treatment solution with the Inman Aligner and ClearSmile Aligners. Designed to be predictable, simple and affordable, both the Inman Aligner and ClearSmile Aligners produce fantastic results every time. Combined cases can also be produced from one set of impressions by sending to the ClearSmile lab. You will receive the Inman Aligner produced by a certified Inman Aligner lab and the ClearSmile Aligners in the same package, all built on the same digital arch evaluation. Become a certified user of Inman Aligner and ClearSmile Aligners by attending one of IAS Academy’s hands-on or online courses. All aspects of treatment are covered from case evaluation to fitting and retention, so that you will be able to handle simple to moderate cases immediately. Come and learn from leading clinicians and instructors in the field, as well as benefitting from case assessment and mentoring via online support. IAS Academy offers dentists a complete orthodontic training pathway from simple to complex systems, so you can be assured every aspect will be covered comprehensively. Find out more today – build loyalty, attract new patients and ensure continued profitability of your practice by offering Inman Aligner and ClearSmile Aligners. 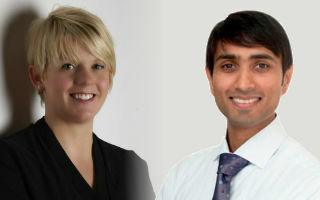 For information on the IAS Academy, visit www.iasortho.com or call 0845 366 5477. Speaking at EuroPerio8 on Thursday June 4th, Dr Amit Patel and Donna Schembri explored the concept of ‘Seeing the Unseen’ - Utilising Fluorescent Technology for Optimal Periodontal Care. With the two speakers covering the subjects of diagnosis, communication and the treatment of periodontal disease and peri-implantitis, the message was clear: innovation changes products and progress changes behaviours. Studies have shown that 40 - 80% of information is forgotten immediately by patients[i]. Donna therefore noted that if you want your patients to be better informed about periodontal disease, you need to find better ways to enhance their understanding. By replacing dental jargon with emotive wording and replacing negative and daunting connotations of treatment with positivity, this has the potential to empower and motivate your patients - increasing your chance of success and improving overall patient care. With comfort and increased effectiveness at the forefront of innovation, Donna and Amit firmly believe that by using the right technology and products you can minimise the presence of plaque on teeth and dental implants: achieving the ultimate goal of tooth loss prevention. continued focus on educating patients about the differences between supragingival cleaning, subgingival cleaning, root planning, use of medication and x-ray and follow up treatment. They need to be informed of the benefits of prophylaxis as well; those being tartar removal, aesthetics and fresher breath. Examples of cutting-edge products mentioned included Acteon’s Newtron P5xs ultrasonic generator, the Air n Go easy airpolisher and the Soprocare - which utilises state of the art photonics technologies. With products like these, patients can reap the benefits of accurate detection, quick visual follow up, comfort, oral hygiene education and complete removal of plaque and stains with minimally invasive treatment. It would seem then that the answer to better patient care is twofold: improve patient understanding and rapport to empower patients to look after themselves and utilise technology to see better and treat faster. On Saturday June 6th, Ziv Mazor examined the concept of Minimal Invasive Surgery Utilizing Piezo Surgical Device - Optimizing Biological and Functional Outcome in the Posterior Maxilla, once again sponsored by Acteon. In order to explore invasive surgery, Mazor first identified potential obstacles that can occur during treatment. He noted that implant placement in the atrophic posterior maxilla often causes complications due to the quality and volume of the bone that is available. With the height and width of the residual ridge being affected by post-extraction resorption patterns, physical trauma, periodontal disease and pneumatisation of the sinus, he highlighted that longer and wider implants are needed to enhance long-term survival. Research points towards infected sockets being the most common cause of post-extraction complications, with a study showing a percentage of 48.7. Bleeding sockets came second with 41% and retained roots caused 10.3% of problems[ii]. Recent innovation in this area highlights that trauma to the tissues and the underling bone can be eliminated, minimising both the procedure time and post-operative complications. With sinus lifts and osteotome techniques often being associated with higher morbidity rates and complication risks, technological advances are a revelation in achieving a reduced risk and high standard of patient care. Mazor went on to suggest that with the use of reliable, powerful and simple products such as Piezotome® ultrasonic surgery unit from Acteon, there are fewer complications and emphasis can be instead placed on the application of autologous growth factors. By utilising the sinus lift balloon technique, patients can also benefit from the reduction of risk to damage of the Schneiderian membrane. An example of this product is the Sinus Lift Kit by Acteon, which offers the practitioner a straightforward and safe answer to the sinus lift operation. The point of this lecture was clear: in reducing complications with the aid of innovative technology, ultimate function of patient dentition can be reached in a shorter time period and risk-free way. Thus there is a noticeable change in the direction of periodontology. The products that are being developed are innovative and effective not just because of what they can do for professionals, but also for how they engage and empower the patient. [i] Patient’s memory for medical information. Journal Of The Royal Society Of Medicine. Roy PC Kessels. May 2003; 96 (5): 219-222. [ii] Post-extraction complications seen at a referral dental clinic in Dar Es Salaam, Tanzania. International Dental Journal. Volume 51, Issue 4, Pages 273-276, August 2001. Elison Simon and Dr. Mecky Matee. Article accessed online on June 5th 2015. Onlinelibrary.wiley.com.doi.10.1002/j.1875-595x.2001.tb00837.x/abstract. Clinical competency is the foundation for excellence in dentistry. 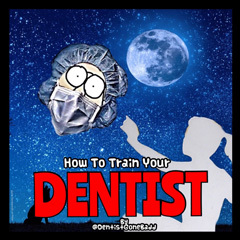 Through high quality and on-going training and education, professionals acquire and develop the appropriate skills that enable them to deliver safe and effective dental treatment to their patients. Particularly in such a fast-paced profession as dentistry, where techniques, materials and technologies are rapidly advancing and changing the way treatment is provided, remaining abreast of the latest innovations and ideas is vital. Not only does this ensure competency to treat patients in the most appropriate way, but it also allows practitioners to enhance the dental care and treatment they offer. What’s more, it’s important to develop knowledge and understanding in a broad range of areas. For example, if you wish to offer implant treatment to patients it is clear that you need to complete advanced training so that you have the skills necessary for the provision of safe and effective services. However, even as a GDP who doesn’t provide such treatment directly to patients, you still need sufficient knowledge that will enable you to assess the health of implant supported restorations that you may encounter. Whether clinicians require education for the placement, restoration or maintenance of dental implants, it is paramount that any training completed is of the highest calibre. “The widespread use and published success of dental implant supported restorations is encouraging more and more GDPs to become involved in this treatment modality. A visit to the dentist’s section of the Yellow Pages makes it difficult to ignore the fact that an increasing number of practitioners are using the label ‘Cosmetic and Implant Practice’. Ensuring the clinician has the appropriate knowledge and skills to undertake dental implant treatment is of paramount importance. “The GDC’s required learning outcomes of undergraduate education for Dentists: The First Five Years states that dental students should ‘be familiar with dental implants as an option in replacing missing teeth’. UK-qualified dentists are not expected to practise implant dentistry without undertaking structured postgraduate training and assessment of competence. For those wishing to perform implant treatment themselves, it is crucial that any training undertaken is carefully designed to provide both the theoretical knowledge and hands-on experience clinicians need to ensure their clinical competency. Through SmileTube.tv, practitioners have access to a structured, blended learning programme that is tailored to equip them with the necessary knowledge and skill to place and restore dental implants, in a safe environment. The course involves four online modules, which can be completed at a time and from a place of the delegate’s choosing for ultimate engagement and effectiveness of learning. Training concludes with eight clinical days where delegates can develop practical skills for placing and restoring implants, while under the supervision of leading implant practitioners across the country and with access to cutting-edge facilities. “The SmileTube.tv ‘Ultimate Implant Year Course’ delivered in partnership with Nobel Biocare provides delegates with the core knowledge and competence in implant dentistry expected of a GDP, as described by the Royal College of Surgeons of Edinburgh for the Diploma in Implant Dentistry at the College,” continues Ken. “The knowledge component of the course, and assessment of that knowledge, is delivered online through the purpose designed e-learning platform SmileTube.tv, and delegates are able to revisit any material as many times as they need for the duration of the course. The clinical skills component, and skills assessment, is delivered through one of a network of clinical training centres throughout the UK and Ireland. “I believe Nobel Biocare to be a global leader in implant dentistry with a hugely impressive and well documented track record. It is a proactive, innovative and forward-thinking company keen to support education and training for the GDP, which arguably offers the most comprehensive range of services, products and materials in the industry. The latest implant design from Nobel Biocare, the NobelParallel® Conical Connection (CC) implant will be one of the implant designs used on the SmileTube.tv course and promises to be an excellent platform for the newcomer to implant dentistry.